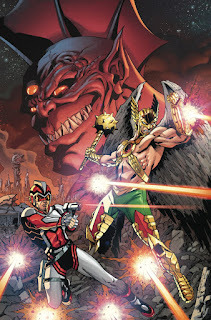 DC has posted the solicitation for Hawkman Found, a Dark Days: Metal Tie-In which promises to explain just what happened to the Carter Hall Hawkman in the Metal prologues. 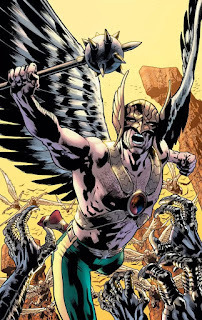 Take it away... HAWKMAN FOUND #1 Written by JEFF LEMIRE Art by BRYAN HITCH and KEVIN NOWLAN Cover by BRYAN HITCH Variant cover by JIM LEE and SCOTT WILLIAMS One of DC’S greatest heroes is missing! No one has seen or heard from Carter Hall—a.k.a. Hawkman—in years. Reincarnated repeatedly since the dawn of humanity, Hawkman has spent his many lives uncovering history’s most fantastic mysteries, and now he has become one himself! Take a journey into the one of the darkest corners of the DC Universe as a mysterious man tries to piece together what happened to Hawkman, and how it all connects to the events of DARK NIGHTS: METAL! On sale DECEMBER 20 • 32 pg, FC, $3.99 US • RATED T+ Scott Snyder has been dedicated to involving Hawkman in the DD:M story so far, and my experience with Jeff Lemire (mainly on Bloodshot over at Valiant) has been good, so I am looking forward to this one-shot right before Christmas. Brian Fitch's art seems like it would be a good fit to the Winged Wonder based on the cover, so this looks like a solid package on first blush. What about you folks, are you eager to see if Carter Hall gets found, and what his connection to all this Dark Multiverse and 9th Metal business is? 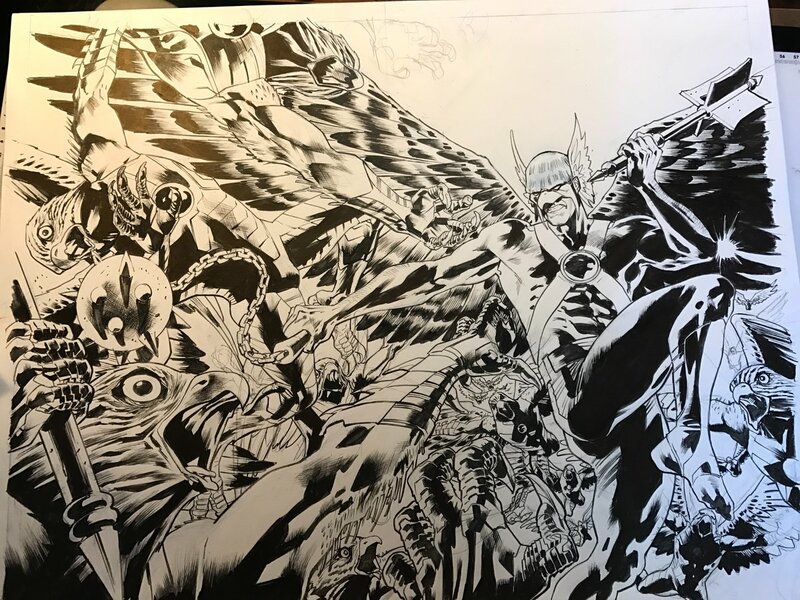 Image: Hawkman Found, 2017, Bryan Hitch. 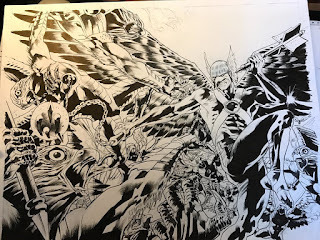 It seems that the forthcoming DC event Dark Days is, in fact, at least partially about DC's most famous fictional metal, the Nth Metal made famous by our favorite Winged Wonders. 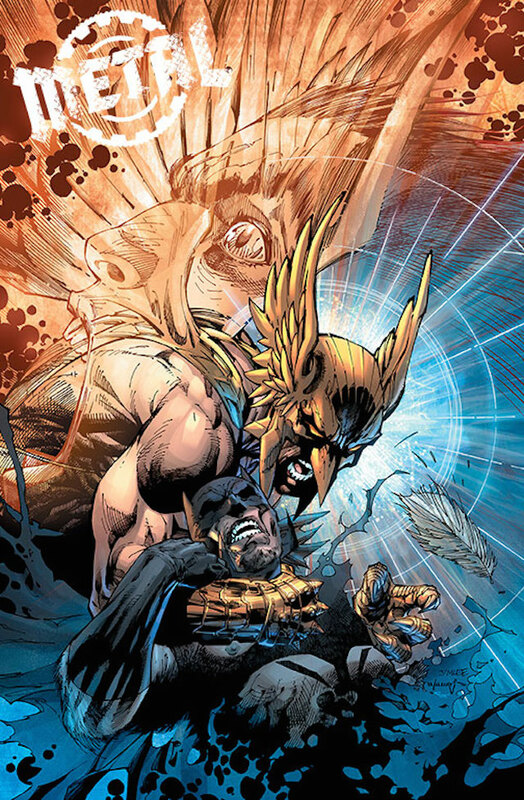 Speaking at a private press event during C2E2, DC co-publisher Jim Lee revealed that the "metal" in the title of DC's summer event Dark Knights: Metal is none other than Nth metal - the mysterious Thanagarian element that allows Hawkman to fly and has other strange properties. Emphasis mine. What does this all mean? I have no idea! To be honest, when I first read the solicitation, I assumed that the "abyss" was the some form of the afterlife, and the spirit of Hawkman would be delivering the warning to the DC Heroes. Now? I got nothing. Look, I'll be honest, as much as I enjoyed Rebirth and have been enjoying the one DC ongoing I am reading (The Flash), ultimately I am mostly disengaged from DC because of the same reasons I was before Rebirth -- too many similar titles, namely way too many Batman and Bat Family books. Death of Hawkman was pretty good (I should probably get around to writing it up... yeah?) but ultimately not the Hawkman Rebirth title I was hoping for. So I am curious about Metal, but not totally sold on it. 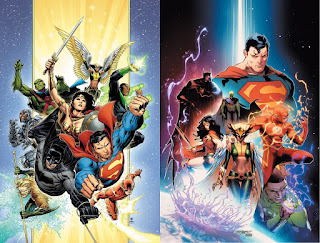 If it means a true Rebirth for Hawkman and Hawkgirl, then I am down with it. Otherwise, well, we will see how it goes. How about you? What do you think about this Nth Metal development?